Location. 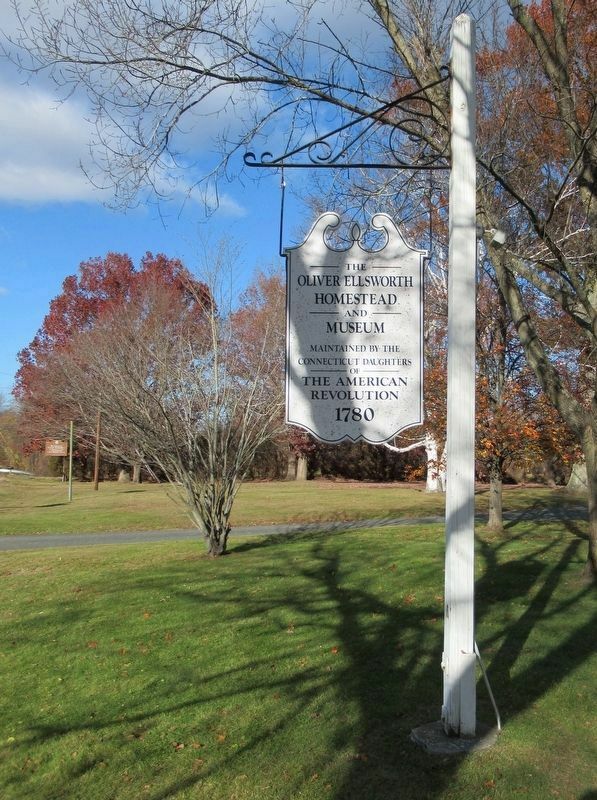 41° 52.724′ N, 72° 37.475′ W. Marker is in Windsor, Connecticut, in Hartford County. 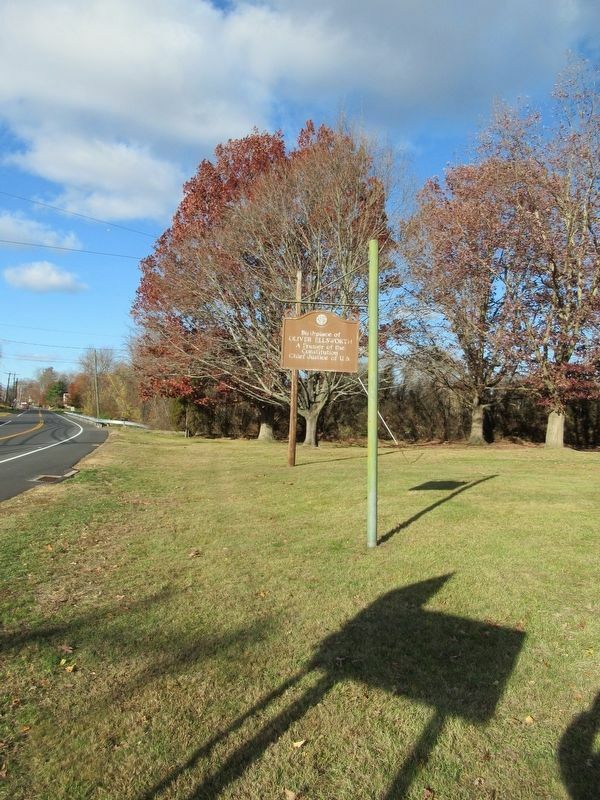 Marker is at the intersection of Palisado Avenue (Connecticut Route 159) and Macktown Road, on the right when traveling north on Palisado Avenue. Touch for map. 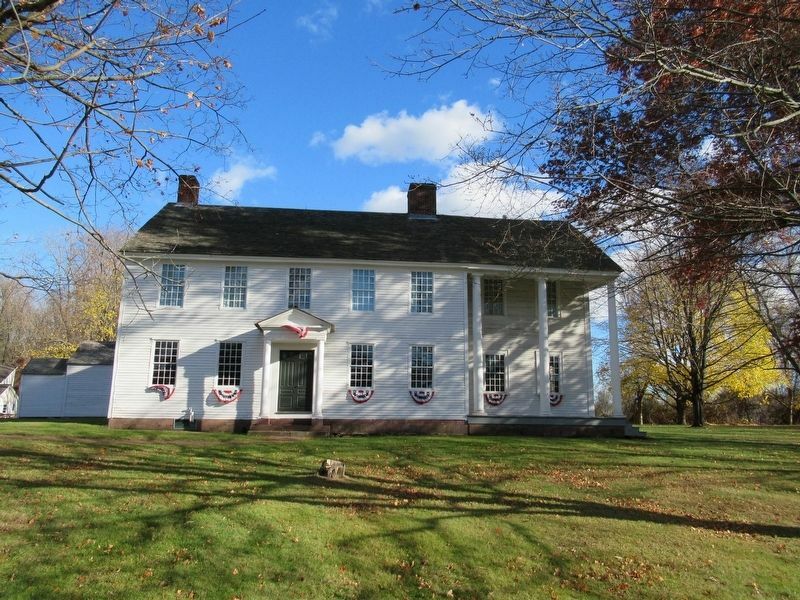 Located in front of the Oliver Ellsworth Homestead. Marker is at or near this postal address: 778 Palisado Avenue, Windsor CT 06095, United States of America. Touch for directions. Other nearby markers. At least 8 other markers are within 2 miles of this marker, measured as the crow flies. Windsor Pilgrims (approx. half a mile away); Old Fort Marker (approx. 0.6 miles away); Bissell's Ferry (approx. 0.9 miles away); Bissell Ferry (approx. 1.1 miles away); Founders Of Windsor (approx. 1.6 miles away); Major John Mason (approx. 1.6 miles away); Horace H. Hayden, M.D.,D.D.S. (approx. 1.6 miles away); a different marker also named Bissell Ferry (approx. 1.7 miles away). Touch for a list and map of all markers in Windsor. More. Search the internet for Birthplace of Oliver Ellsworth. Credits. This page was last revised on November 15, 2016. This page originally submitted on November 15, 2016, by Michael Herrick of Southbury, Connecticut. This page has been viewed 170 times since then and 5 times this year. Photos: 1, 2, 3. submitted on November 15, 2016, by Michael Herrick of Southbury, Connecticut.